We take great pride in offering our valued users the comfort and security in knowing that we'll be here for them when needed! We invite you to take advantage of the following support resources available to you. Most of our software products offer concise, informative and built-in Help Systems and User's Documentation, available by selecting "Help" from the Application Top Main Menu. Most questions may be answered by referencing this documentation. Here you may obtain quick and concise answers to our most often asked support questions! Get in-depth information related to software setup, system maintenance and configuration! 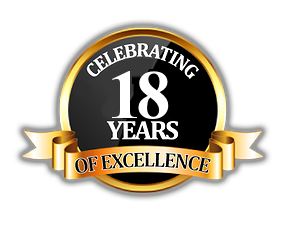 Sit back and watch Video Presentations describing the Setup, Configuration and Use of our award winning products! Here's a place for our valued users to share ideas! USER FORUMS ARE INTENDED AND PROVIDED FOR USER TO USER INTERACTION ONLY. NO SUPPORT RELATED POSTS ARE ALLOWED! Keep your Karaokeware software product running at its best by updating to the latest available software revisions! E-mail support is provided free of charge to all registered users. Registered users must complete an on-line form that contains the information our support staff needs to solve your problems and issues effectively and efficiently. We have a Support Team standing by during regular office hours (9am to 5pm EST M-F) to assist you in a timely manner. All software support inquiries must be initiated by submitting an Online Support Form. Most support issues are answered and remedied expeditiously utilizing the online support process. If your support inquiry warrants a telephone contact we'll be happy to arrange the call free of charge. Telephone support, when deemed necessary is available M-F 9am to 1pm EST. Please reference the User's Documentation and all other available support resources before requesting a telephone contact. 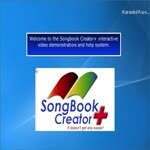 FastTracks V2 SongBook Creator Only: FastTracks V2 SongBook Creator Serial Numbers and their associated unlock codes are unique to the computer hard drive the software is installed on. In the event you wish to move the software to another computer (installing the software on more than one computer at a time is a violation of our software user's license), or after reformatting the existing hard drive, please submit a Registration Transfer Request by CLICKING HERE. 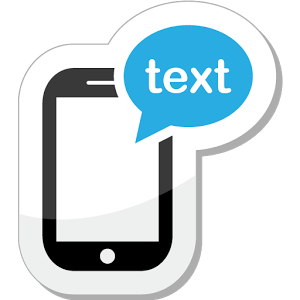 Trial software includes email and on-line support for the duration of the trial period. Support for free software is limited to web support (FAQ and KnowledgeBase Articles) only. There is no email support available for free software. * FREE Support Resources and Minor Program Revision Updates (Free Services) are provided as a courtesy to our valued users. Our Support Staff stands ready to assist you whenever possible, however, we reserve the right to suspend and/or revoke access to FREE Services to any user(s) that in our sole discretion violates our Intended Use Policy or exhibits offensive/rude behaviour on our public forums and/or toward our Support Staff. Click Each Element (Category, Sub-Category, Question) to Expand. Click Images to ZOOM In/Out. Do I Get a CD or a Physical Disc? All of our software products are currently offered as downloadable products only. 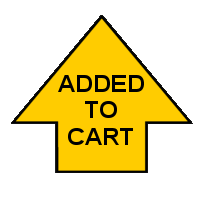 The purchasing process involves simply downloading and installing the EVALUATION versions of each applicable product onto the computer you intend to utilize, giving them a good test drive (evaluation), and when ready to purchase, simply return to our website and complete the fast and fully secure online purchase process. Immediately upon the successful completion of your online purchase transaction you'll be provided with your simple and convenient product activation instructions to Activate your new Software. How long does it take until I receive my Software after I make my purchase? Therefore, if you have not received your instructions in your Email Inbox within a few minutes, Check your SPAM folder. What if I did not receive my Purchase Receipt or Activation Instructions? Your Purchase Receipt and Activation Instructions are sent immediately following the successful completion of your online purchase transaction! Therefore, if you have NOT received your Purchase Receipt or Activation Instructions within your Email Inbox within a few minutes, Check your SPAM folder. For further assistance you may Email our Sales Department at sales@karaokeware.com or dial +1 (954) 239-7202 on weekdays between the hours of 9am to 1pm EST and we'll be more than happy to assist you. All of our software products are currently offered as "downloadable" products only and you may simply download and install the "Evaluation" versions of each applicable product onto the computer you intend to utilize and give them a good test drive (evaluation) prior to purchasing. When ready to make your purchase, simply return to our Website at http://www.karaokeware.com/support.html and complete the fast and fully secure online purchase process. Immediately upon the successful completion of your online purchase transaction you'll be provided with your simple and convenient product activation instructions. Will the changes I make while using your products in evaluation mode remain when I "purchase and Activate the Software" or will I have to Start Over? While in the Evaluation Mode of any of our Software applications any changes will remain intact and automatically be integrated into the "Fully Activated" version of the Software," as long as you are Activating the application on the same computer system as the changes were originally made. What if I have trouble activating my Software? Are updates for your Software "Free" or do I have to pay? MAJOR version upgrades will be provided free of charge to all registered users that purchased the previous MAJOR version within 60 days prior to the release of the latest MAJOR version. Significant discounts are available to all other registered users of previous MAJOR versions toward upgrading to the latest MAJOR version. Other updates will be available at special pricing directly from Karaokeware . Support for free software is limited to self-service support resources(FAQ, Knowledgebase) only. There is no email support available for free software. Where can I find the latest revision/updates for my Software? Simply visit the Support Page of our website at http://www.karaokeware.com/support.html and select the "Software Revisions" tab found at the top of the page. Yes, telephone assistance is available weekdays, between the hours of 9am and 1pm EST. (excluding holidays). You may reach us during these hours by dialing +1 (954) 239-7202 . Can I install CompuHost on more than one computer? Per the EULA (End User Licensing Agreement) agreed to during the initial purchase of the Software you are allowed to download, install and activate CompuHost on up to two computers as long as BOTH applications are NOT being utilized simultaneosly. Why does CompuHost V3 crash at times while attempting to playback Video files using the DJ/FillerTunes Console? Your computer may be utilizing an Intel HD Graphics Video Device, whereby known bugs/issues within the associated Intel supplied Device Drivers have been reported to cause serious instabilities, including sudden crashes during video playback. Select "Help->System Information" from CompuHost's Top Main Menu. The installed "Display Device" may be found among the system information provided. How do I know if am using the latest update/revision of the Software? 2. After locating your current CompuHost Version above, visit the Support Page of our website and select the " Software Revisions" tab found at the top of the page. How do I ensure that if I update or reinstall CompuHost that I will NOT lose my Performers History? (Windows 64bit) "C:\Program Files (x86)\CompuHost"
How do I backup my CompuHost datafiles such as my Performers History, SongList etc.? The best way to preserve and safeguard your User data is to create a backup of ALL CompuHost datafiles (*.tps) on a regular basis. To do this, simply copy ALL database files (*.tps) found in the CompuHost Program Folder onto a backup media (flashdrive etc.). Reminder: In the event that a reinstall is necessary, you can then simply copy the backup datafiles back into the new installation, overwriting the originals. How to Backup and Save my CompuHost User data such as my Performers History, SongList etc. What if I have properly configured and connected all devices and properly configured my Windows Extended Desktop, but when I open CompuHost the Secondary "Lyrics" Screen is not the right size, is in the wrong location, or does not display at all? CompuHost RELIES on Screen Coordinates for the Secondary "Lyrics" Screen as normally provided by the installed video device (Video Card). By Default: While launching, CompuHost requests the Secondary Screen Coordinates and automatically positions the Secondary "Lyrics" Screen accordingly. How do I move CompuHost to a new or different computer? Please be reminded that per the End User License Agreement (EULA) agreed to during the initial installation, you are allowed to activate CompuHost on up to TWO computers. When disposing or discontinuing use of any computer that has an active CompuHost license, you MUST deactivate the license in order to preserve the allowed activation for later reactivation onto a new or different computer. NOTE: This information may also be found within the CompuHost Built-in Help System/User's Manual (from CompuHost's main menu) go to Help->CompuHost Help "under the topic" Managing my Activations. How do I uninstall CompuHost? What if I open the "Search SongList" window to add a Karaoke selection to the Selected Performer's Song Queue and the window never opens/is missing? Can I "Hide" the Secondary "Lyrics" Screen when only using my primary computer display? Can I add my own Background Image to the Secondary "Lyrics" Screen? To add your own Background Image simply (from CompuHost's Main Menu) go to File->System Devices and Options "under Performers Display Settings" select the button "Optional Background Image"
Does CompuHost come with Music? No, CompuHost does not come preinstalled with music In most cases, the End User supplies their own Karaoke Song selections (files), easily cataloged into CompuHost for fast, convenient playback. However, we are very proud to provide our valued CompuHost users with built-in integration of the popular Karaoke Cloud subscription service (content provided by Digitrax Entertainment), offering convenient, on-demand access to thousands of commercially legal, high quality Karaoke selections! For information and end user instructions pertaining to the CompuHost built-in implementation of the Karaoke Cloud service please CLICK HERE! How do I configure my Windows Extended Desktop so that my Secondary "Lyrics" Screen displays on my Secondary Monitor/TV? CompuHost's Auxiliary (Performer's) Screen layout is designed to offer MAXIMUM functionality and to be displayed on a Secondary Monitor/TV! Can I play music directly from a physical disc, flash drive or a portable media device? CompuHost fully supports playback of standard Audio CD, Karaoke CD+G, Karaoke VCD and Karaoke SuperCDG discs as well as Audio+G Karaoke files (MP3+G etc.) stored on portable media devices (USB Flash Drives etc.). What if my computer is rendered unrecoverable due to a total computer system failure or my computer is lost or stolen and I was unable to deactivate CompuHost? The GEN-II license provides each End User with two allowed activations (a primary and backup). NOTE: Unfortunately, when a computer is rendered "unrecoverable, lost or stolen" and the End User is unable to deactivate the Software prior to such an unfortunate event taking place, the CompuHost License/Activation activated on that computer would be "rendered unrecoverable, lost or stolen" suffering the same unfortunate fate as the computer system itself. Additionally you are permitted to download, install and activate both activations onto a primary and backup computer (at the same time) as long as both activations/applications are not be utilized simultaneously (to be ready to go) in the event that such an unfortunate event were to occur. Please know that we take immense pride in our Products, Services and the Support that we provide and there is absolutely nothing more important to us than our Valued Users. In the event that an “Activation is lost” due to unforeseen circumstances (such as catastrophic computer failure) you need to simply contact us and in most cases we will be able to assist in either the recovery or replacement of the lost activation; however, please understand that we simply MUST reserve the right to refuse such a courtesy in the unlikely event that the process is being taken advantage of. What are CompuHost's Minimum System Requirements? What's NEW in CompuHost V3? I have seen KJ's using CompuHost on a Mac; is your Software Mac compatible? CompuHost is currently compatible with Windows Operating Systems ONLY (Windows XP, Vista, 7, 8, and 10). Mac utilizes what is called "Boot Camp" which allows Mac User's to run Windows Operating Systems on Mac Systems. Additionally, third party companies also make applications that allow for Windows to be utilized on Mac Operating Systems. While it may be possible to "run Windows" on a Mac and utilize CompuHost on that Windows Operating System, we simply cannot "recommend" doing so because the application is designed specifically for use on a "PC computer" installed with a default Microsoft Windows Operating System (set to factory settings). Where do I find the CompuHost User's Manual? 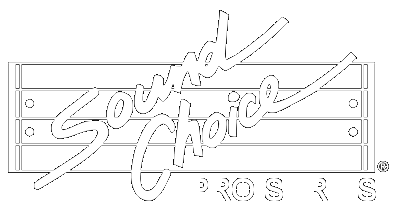 When performing a Song Search can I designate my preferred brands (SC, DT, SF etc.) in order of preference? 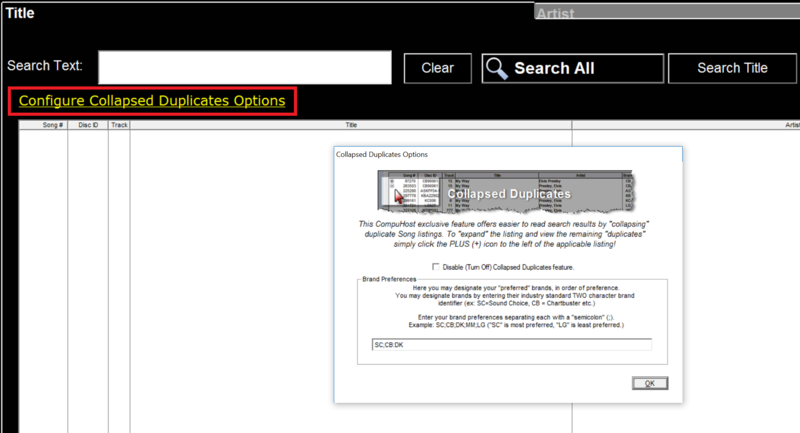 Yes, simply open CompuHost's Search SongList window by either clicking on Add Song Request (from Selected Performers Song Queue), by Clicking Song Search and Drag (from the Tool Bar), or (from the top menu bar) select Songlist->View/Search SongList and click on Configure Collapsed Duplicates Options (as highlighted in yellow located directly under the Search Text box). Can I catalog individual song selections without requiring a full indexing operation? Click Each Element to Expand. Transferring Karaoke VCD Tracks to your computer storage media (harddrive etc.) and cataloging them into CompuHost for search and playback. Why does CompuHost incorporate DirectShow and why are DirectShow Codecs, Filters and Splitters so important? Troubleshooting a "No ole automation interface" error. Utilizing the MyKJMedia Karaoke Content Delivery Services in combination with the CompuHost Remote Request Submission System Addon. How to play a non-cataloged, disc based Karaoke song file directly from a Harddrive, Flashdrive or any portable media device. Cataloging/Indexing files with differing file-naming formats utilizing CompuHost V3's new advanced "Compound Templates" feature! Typical KJ Audio Setup utilizing the computer "Audio Line Out" port. Setting up your Sound Device so that it can be shared by CompuHost and other applications. Not hearing any sound/audio out of speakers during Karaoke playback? How Do I Transfer FastTracks V2 Songbook Creator to a New/Different Computer? Subscribing to and activating MyKJMedia subscription based services within CompuHost. HINT: Click each element below to expand! This segment of the KaraokeWare Instructional Video Series demonstrates the simple use of the industry leading CompuHost V3 Karaoke Hosting Solution. 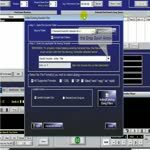 This segment of the KaraokeWare Instructional Video Series demonstrates the simple process of cataloging existing Karaoke song files into the industry leading CompuHost V3 Karaoke Hosting Solution. This segment of the KaraokeWare Instructional Video Series demonstrates the simple steps involved in the setup and customization of the industry leading CompuHost V3 Karaoke Hosting Solution. This segment of the Karaoke Instructional Video Series demonstrates the simple process of cataloging existing Karaoke song files into CompuHost V2 Karaoke Hosting Solution. 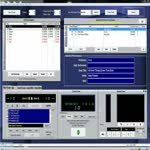 This segment of the Karaoke Instructional Video Series demonstrates the simple process of cataloging existing Karaoke song files into CompuHost V1 Karaoke Hosting Solution. Sit back as you're taken on a tour of the industry leading Songbook Creator+! Please check the box to confirm that you have referenced the FAQ, Knowledgebase Articles and Video Tutorials prior to submitting this request. Version Numbers are displayed on the Opening Splash Screen or TOP Window Title Bar depending on application. The Serial Number is provided on the Opening Splash Screen or by selecting "Help->About" from the application's Main Menu. Don't let an errant Email Spam Blocker prevent us from getting back to you! * Mobile messaging and data rates may apply. We've found some Knowledgebase Articles that might help you? Thanks, I've found my answer!